In the second installment of this two-part series (and our season two finale), we pick up where we left off last week: Presenting small stories – one per decade – that took place on Israel’s Independence Day, Yom Ha’Atzmaut, and that, in some way, reflect their era. Part I, which you can listen to here, took us from 1948 to 1978. In today’s episode, which begins in 1988 and brings us all the way to the present, we encounter a Soviet ‘refusenik’ celebrating his first Yom Ha’Atzmaut in Israel; an American couple building a new West Bank settlement; Batsheva Dance Company dancers caught up in a heated culture war over tank-tops and long-johns; a controversy surrounding a tilted flag; and the four Israeli finalists in this year’s International Youth Bible Competition. Listen to "Stop That Bus!" 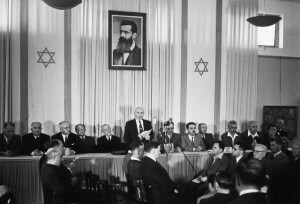 Israel’s 40th Independence Day proved to be the first for many. 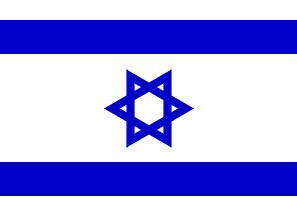 Jews from the former Soviet Union, the U.S., and around the world flooded into Israel in the 1980s. Yosef Begun, a Soviet ‘refusenik’ imprisoned in Siberia for Zionist beliefs, recounts celebrating his first Yom Ha’Atzmaut in Israel. Less than an hour’s drive away, Yanki Elefant and Adina Cohen-Elefant recount their first Yom Ha’Atzmaut in a West Bank settlement after moving from Syracuse, NY. A behind-the-scenes account of a scandal that rocked Pa’amoney Ha’Yovel, Israel’s fiftieth anniversary celebration. Foreign dignitaries, famous Israelis, and an international television audience joined together to celebrate fifty triumphant years of statehood, with this spectacular performance of Israeli talent. Yet the final act, the famous Batsheva Dance Company, refused to perform at the very last minute. Find out why a costume kerfuffle inaugurated a national debate about the religious modesty and artistic freedom. At the 2016 International Youth Bible Competition we meet Elkana, Tzuriel, Tehila, and Yonatan — our four Israeli finalists for the international competition. Who will win? Scandals, secret mnemonic weapons, and family Bible legacies as we all celebrate this competitive love of Torah.